One of Durban’s most well-known and loved performer and playwright, Essop Khan, passed away in his Durban home on April 23, 2018, at the age of 72. 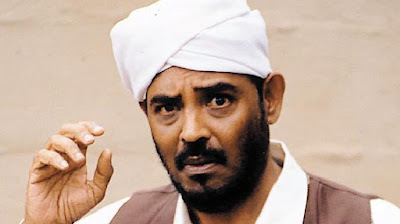 “Khan, who was versatile in the many acting and directing fields, made an immense contribution to the South African theatre industry and was best known for his onstage antics alongside Mohammed Ali. Khan and Ali created Ekma productions 33 years ago. "Our friendship and acting partnership went back 50 years. We had written more than 27 plays between us and we have featured in close on 60 productions," Ali said. "One thing I do know is that he lived life to the fullest and always told me he had no regrets because he did what he wanted to. He always advised me to take it one day at a time," he added. Khan and Ali co-created and performed in a number of comic works including the hugely popular Jamal Syndrome (1987), My Good Neighbours (2013). Actor and radio presenter Warrick Frank stated: “When no one else gave me a break in the entertainment game, you took me under your wing and gave me the strength and guidance to fly on my own .... Through this trying time all I hear is your voice echoing in my head telling me what you've always told me, "I helped you find the strength in your wings, now fly my baby, fly!" Fellow radio presenter and actress Jayshree Parasuramen said: “A big tree has fallen!!!! #RIP Essop Khan .... An icon in the Theatre Industry is being laid to rest today. A man who selflessly gave underdogs an opportunity in the Arts by creating an equal opportunity for all those who worked with him.